Let me be more specific... Westerners in India on film. India is repeatedly a place of healing on film. I want to talk about 3 films (although I will cheat on one of them) in which we see India through western eyes, but it's always looked upon fondly, as a place of healing and growth. Renoir tells us that Indians told him that he shouldn't make a film in India about Indian people because a western audience wouldn't understand their problems or their culture (and rightfully so, especially in his time, it would have been very foreign to 50's westerners, especially Americans), but westerners can make films about westerners in India, and as long as there is truth and humanity to the characters in the story, anyone from any culture can understand (more on this in a bit). I've already covered John Madden's 2011 film The Best Exotic Marigold Hotel, in which a group of British retirees in need of a change of scenery all move to India and find healing, and personal growth. It's a nice little film, but having already covered this film, I'll let you read my earlier post and we'll move on to the next film. 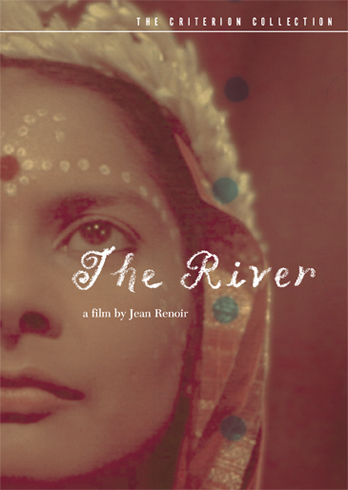 The Second Film - Jean Renoir's 1951 film The River (99 min. runtime). It's available for free (on the free version of hulu) here. As I mentioned before, Renoir was not going to make a film about India for a western audience fearing they wouldn't understand. However, Rumer Godden, was born in England, but grew up in India and had become a famous writer, with many of her works taking place in India. 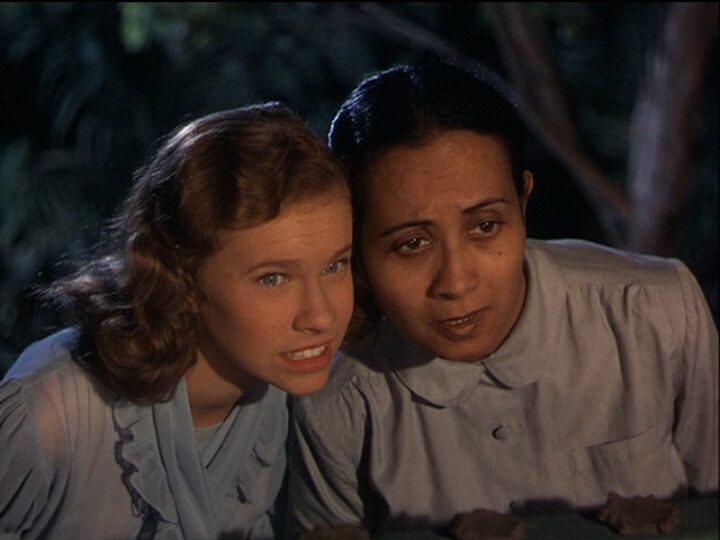 Godden is best known for her novel Black Narcissus that was later turned into the classic film of the same name in 1947 by Michael Powell. Her novel The River, however, inspired Renoir and (oddly enough) a florist named Kenneth McEldowney to make this film. Because it was not a Hollywood film and it was independently produced, it's also a look at a very early indie film, even before the French New Wave. It was a very early experimental, indie film that was created and distributed to the mainstream audience of the 1950's. 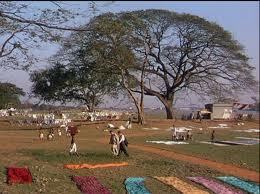 It's use of color and the setting (Bengal, India) are central characters in the film, and that's significant, again, because of the fact that this film was made in the early 50's and it showed a very foreign world to a western audience. Because it is an indie film there are also many non actors in the film, so you do have to be willing to cut it some slack, and overlook some of the poor performances, but if you can it's worth it. 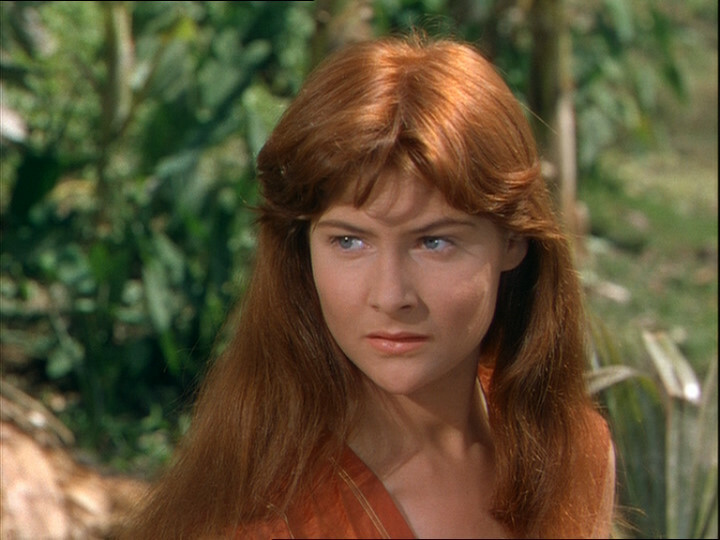 It was Renoir's first color film, and the first film set in India in color. The color and cinematography is very painterly, and reminiscent of his father the painter Pierre-Auguste Renoir. On the Criterion DVD Renoir gives an introduction to the film in which he states that he learned a lot and was given so much from his experience, having spent a year working in India on this film. It is clear that the time spent there had a profound affect on him. It would seem it isn't just that characters within the film that find India a place of healing and growth. This film is essentially a coming of age film that has a lot to do with the cycle of life. It begins with a British family living in India, anxiously anticipating the arrival of Captain John, an American man coming to live with his cousin. He soon meets the rather large family of mostly children (the mother is pregnant with yet another child) and it doesn't take long for the two oldest girls in the family to fall for John. Harriet is one of the central characters (possibly THE central character), her adult self (whom we never see) provides a useful narration for us throughout the film. There are the occasional documentary style segments with extra footage showing the land and people, while the narration talks about India, almost as if Renoir knew it would be necessary to explain some things to the western audience. Valerie the oldest sister is growing up and learning about love and having to adapt to change. Her happy childhood life in the garden with her family is changing. 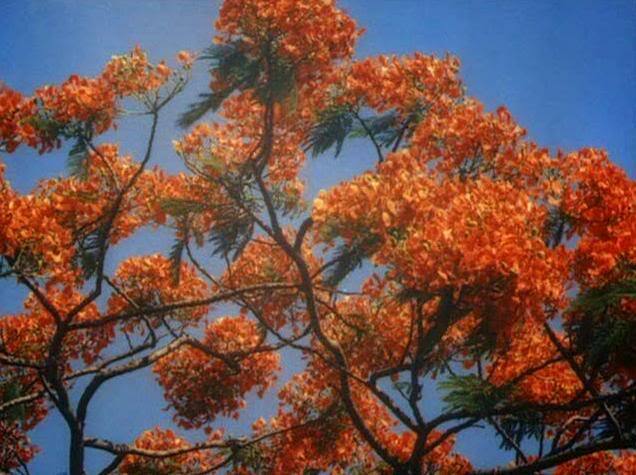 Pain and some of the uglier things in life are beginning to invade their serene lives, much of the pain having to do with having their first experience with love. Melanie is a friend of the family. Her father is British (the cousin of Captain John) and her mother was Indian, now deceased. She is struggling to find her place in the world and to find peace with where she is. Harriet, much like Valerie, is also growing up, and learning about love. She is an aspiring writer and seeks approval of her work from Captain John, who she has also fallen for. She is younger than Valerie so she doesn't get as much attention from John and this adds jealousy to the list of growing pains beginning to affect their young lives. As for Captain John, he is trying to recover from a war that left him with only one leg. He has come to India to live with his cousin, and it isn't clear whether he is really looking for love or not. He does seem to be attracted to Valerie, but it's clear that no relationship here is meant to be, and both Harriet and Valerie are broken hearted to learn that he isn't staying much longer. The only boy in the family, Bogey, is obsessed with reptiles, including snakes. His fascination with the Cobra proves to be a dangerous one. After his death, Harriet blames herself, and is too upset to know how to go on. She gets angry at dinner because her parents seem willing to forget about Bogey and sit there eating their meal. Her mother insists that she should eat, because life must continue despite sadness. She runs away and tries to drown herself, but is saved by people on a nearby boat. Captain John goes to find Harriet after the incident and has an important conversation with her. "With every important person we meet we either die a little bit or are born." Harriet agrees with him. I think I agree to a certain degree. Some people enter our lives for a short time and teach us things, help us grow, and when, inevitably, we go our separate ways we die a little bit, but the memories and the lessons stay with us. Life continues, the river continues, like the endless flowing of life, it goes on and we must continue on in the same way. At the end Harriet's mother has her baby. Despite the sadness of death, there is new life. I've mentioned many times that I enjoy when a film is not entirely over, or resolute in it's ending. It's more like real life, because life doesn't resolve. Coming of age stories in general are good candidates for non-resolute endings, because the coming of age is the beginning or an early stage in life. There is much more to come after. Especially in this case, the non-resolute ending further serves the metaphor. Life must go on, nothing is over, it will continue to flow. And we don't feel slighted by the lack of resolution, because the characters have come to a sense of understanding and growth, somehow leaving us with a feeling of closure anyway. The final scene has the three girls of the story opening letters they've received from Captain John, but as we hear the newborn baby cry, they drop the letters and run to see. They've already moved on. Maybe Captain John is still in need of a wife, and Valerie and Harriet still in need of growing up and love of their own, and perhaps Melanie still hasn't quite found her place in the world and made her peace with it, but they are ready to move on and their memories and lessons will stay with them. "Ten minutes ago she wasn't born... and tomorrow we'll be used to her." "The river runs, the round world spins. Dawn and lamplight, midnight, noon. Sun follows day; night, stars, and moon. The day ends. The end begins." I will say that at times I thought this film began to drag and was too melodramatic in certain areas, but there is also beauty to be found. If you are willing to stick with it this film does have some profound things to share with us. "Films have grown so aggressive and jittery that it takes patience to calm down into one like "The River." Its most dramatic moment takes place offscreen. Renoir is not interested in emotional manipulation but in regarding lives as they are lived. Not everyone we like need be successful, and not everyone we dislike need fail. All will be sorted out in the end -- or perhaps not, which is also the way time passes and lives resolve themselves.